There are, I think, four distinct types of weird story: one expressing a mood or feeling, another expressing a pictorial conception, a third expressing a general situation, condition, legend or intellectual conception, and a fourth explaining a definite tableau or specific dramatic situation or climax. Every proper family has one. It’s a mixed bag today. A joke was stolen from OMWC. Can you spot it? 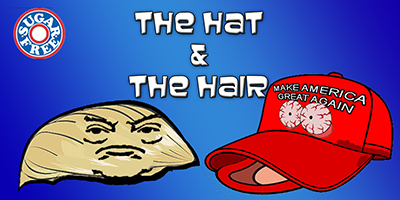 Donald and the hat and the hair deal with a source of modern society. Enter the minds of the greatest minds of the mindiest minds that have ever minded. Has Donald learned the lesson the Spirits have striven to teach him? Can he truly change his Ways? The Future hold lessons for Donald. Come, look upon his Abyss! 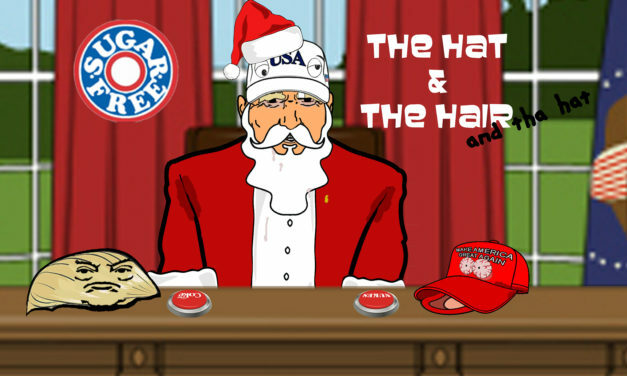 Behold the sundry horrors of Warboners Present!